Apple is preparing to build a streaming radio service much like Pandora, sources familiar with the matter have told the Wall Street Journal. 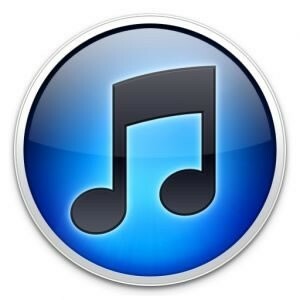 The music service would reportedly work on all Apple hardware and perhaps even Windows-based computers, leading some to believe it could be integrated into iTunes rather than released as a separate app. Unsurprisingly, the sources have said the service would not be available on devices running Google’s Android operating system. Entering the streaming music business may seem like the next logical step for Apple although unlike what they did a decade ago with the iPod, they wouldn’t be paving the way for others. Instead, they’d be following a path already established by the likes of Pandora and Spotify – one that likely wouldn’t further line their pockets with money. Pandora, for example, has yet to report a profit despite significant revenue growth simply because royalty costs to stream music are incredibly high. The sources further point out that Apple is pursuing licensing agreements that would let them grant users the ability to play any song they want as often as they want, a common complaint against Pandora. Cupertino is also said to be negotiating their own licensing deals instead of simply adhering to rates already set by the federal government. Talks are still in the early stages so it’s probably a safe bet that we won’t hear anything about it during next week’s iPhone 5 media event – or anytime in the near future.